The Hoo-rag 80L HD dry bag is constructed with heavy duty PVC material that is made to take a beating, Our Dry bags are perfect for keeping your stuff dry while you enjoy all that Mother Nature has to offer. The HD 80 has 80 liters of storage and comes with a D ring tie down and carrying strap. 80 liters translates to just over 21 gallons of dry storage space. 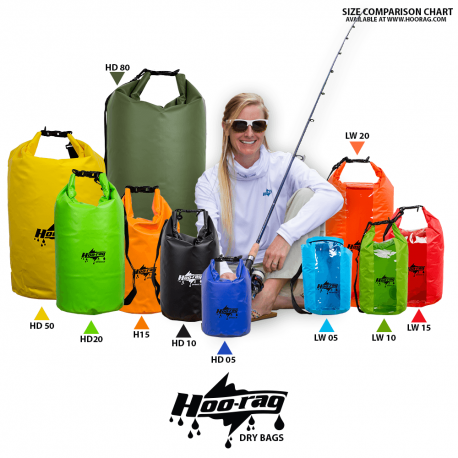 What is the weight of this, and what is the Hydrostatic Head testing score for the fabric. What is the fabric made of? Thanks. Just saying PVC is not elaborate enough. Please be more precise. I was forced to give a review rating, so I’m going with the middle. This web site should allow product questions without having to do a review. Hi there! You can always e-mail us or call us directly to ask questions regarding our products. Until today I didn’t realize there was such a thing as a Hydrostatic Head Test to measure the water permeability of fabric. I have done some research for you. 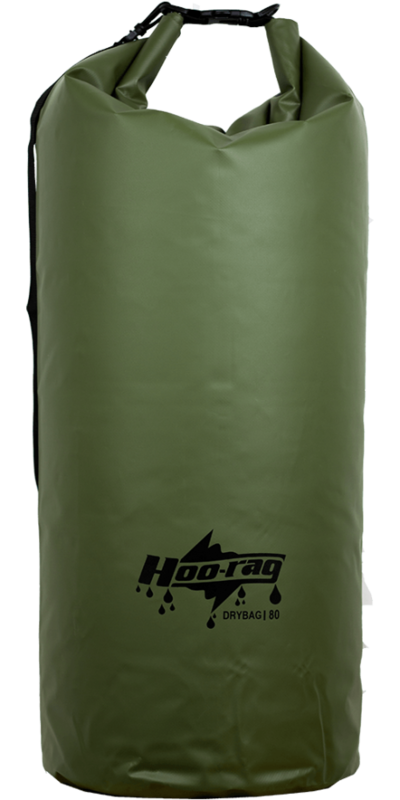 The fabric for our Heavy Duty bags is tarpaulin and is listed at 0.5mm/500D. Our Light Duty bags (currently out of stock) would be 0.3mm and be nylon fabric. We hope this helps inform your purchase. Just what I was looking for! Purchased it for a trek to Machu Picchu. And hoorag was able to ship it on time despite the devastation from the hurricane. Great customer service. Thank you!